I should have reported on the third LYFE demonstration, today in Lancaster, on this blog but instead I described it in the combox on another blog so see here as well as here. One modern god travels in a stretch limousine and another speaks from a TV screen. There are mythical helicopters. I do not know whether the amusing hitch-hiker, Sammi, will return as a character. I am enjoying the novel more rereading it after watching the TV serialization. 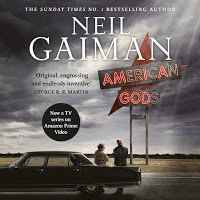 Neil Gaiman, American Gods (London, 2001). Low Key Lyesmith is Loki Liesmith but who is Sam Fetisher? Shadow is asked whether he has black ancestry and doesn't know but he is black on TV. Would Norse sailors pray to the all-father or to Aegir? See the combox here. This is a good short story. It informs us that pixies were originally called "piskies." Obviously there is more to the novel than this. I have watched Season 1, Episode 1, of the TV adaptation and have reread the book to p. 94 of 501. One post about a novel. Three posts about a film nominally based on a novel about Stieg Larsson's characters. Eleven posts occasioned by a novel based on a TV series. One post about a TV series. Addendum: eighteenth post, about another novel, which has been adapted as a TV serial, here. 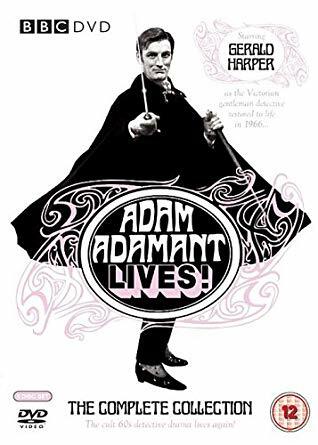 Adam Adamant Lives! should be a prime candidate for revival in films or in an Alan Moore graphic novel. 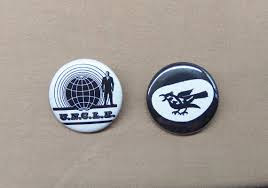 Part of the origin story was that the title character, who had been in suspended animation from 1902 to 1966, had already been known as a popular hero before his suspension. A young 1960s woman who had been a fan of Adam Adamant the historical figure becomes a close up fan of the real guy here and now. What could be better? the future, as Adam and the villainous Face go back into suspended animation. Apparently, Adam's finances were unexplained but that could easily be fixed with an inheritance and/or a government agency investigating his suspended animation. Thrush was not an acronym. Thus, within the TV series, these have to be accepted as the facts of Thrush. it is easy to assume that that woman in a single episode was deluded or lying. Indeed, it is strange that this character and her claim appear only once and therefore are missed by anyone who did not see that particular episode. On TV, a single Ultimate Computer was constructed and destroyed before it could be used. We may deduce from McDaniel's account that more were built. The UNCLE Chronology which claims that the prototype Ultimate computer was built in 1898 goes beyond McDaniel's account and fits UNCLE into the expanded Wold Newton universe. However, McDaniel does state that Thrush pioneered information technology. See Thrush History II. 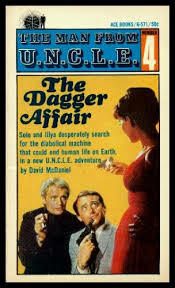 (i) In The Man From UNCLE TV series, Thrush Central was merely referred to. (ii) In The Rainbow Affair by David McDaniel, UNCLE learns that Thrush Central is tripartite and mobile with three Ultimate Computers. (iii) In The Hollow Crown Affair by David McDaniel, "...U.N.C.L.E. misses raiding Thrush Central by mere minutes." See The UNCLE Chronology here. (iv) In The Final Affair by David McDaniel, UNCLE destroys the three Centrals and invades Thrush Island. When Solo asks a Thrush guard who is on the other end of a phone line, the guard replies "My boss," and assents when Solo inquires, "The Boss? Acting Central?" (p. 87) UNCLE captures the island. End of Thrush as an international organization.